Swift print communications believes good business requires sound stewardship of our resources. It’s more than a philosophy, it’s part and parcel of the way we conduct ourselves. 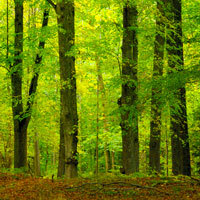 More than Simply words, we deliver printed products with environmentally sustainable solutions. When John S. Swift founded our company in 1912, he quickly became an innovator in the printing industry. 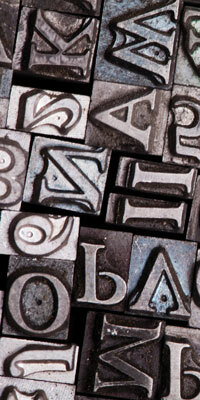 He discovered a then little known process called offset lithography. This new way of printing delivered quality, price and service which are hree elements that every customer wants. It also formed the cornerstone of everything we do as a company. We do not stand still in searching for better ways to serve our customers. Equally important, John S. Swift believed in giving back. He found a unique way to do this that symbolized his commitment to the environment. In 1939, he donated 110,000 Chinese elm tree saplings to elementary school children. These gifts commemorated Arbor Day. Hundreds of thousands of more trees, including maples and pin oaks, were given out in later years by John S. Swift. He became known as the St. Louis area’s Johnny Appleseed. Eventually, the Missouri Conservation Department took over the role but credits John S. Swift for planting the seed. They carry on his tradition by planting trees statewide as part of the Earth Day celebration. Today, many in St. Louis still remember planting his or her sapling from John S. Swift. They marvel at their majestic heights and beauty. Some were even inspired to a lifetime of tree planting. His legacy lives on not just in those trees but also in his pioneering spirit to adopt technology and embrace the environment. These values define our company. As the saying goes, “You can talk the talk but can you walk the walk.” Swift Print Communications takes its role as an environmentally friendly company well beyond mere words. First and foremost, we want to protect the planet because it’s the right thing to do. We have always taken this role seriously, long before it became popular among businesses. 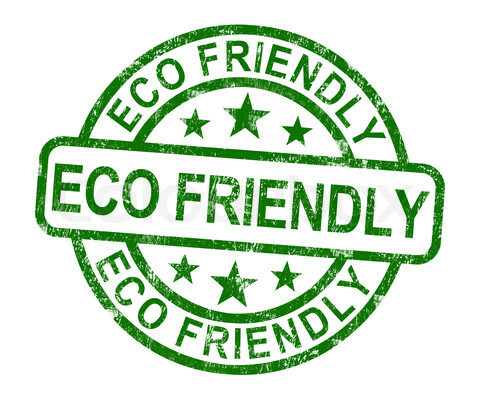 As a green printer, we also offer benefits to our clients. Many may believe that our steps add to our costs but the exact opposite is true. Recycling, reusing and reducing actually cut costs without compromising quality. We can then pass these savings on to our valued clients. We do this by embracing sustainability through environmentally friendly technologies and practices throughout our operations. Swift Print Communications was one of the first companies to adopt soy-based vs.oil-based inks, a critical step in eliminating harmful VOCs (Volatile Organic Compounds) and chemicals from entering the wastewater system. advanced system in the St. Louis area, this ink mixer completely eliminates VOCs and reduces ink waste to less than one percent. Our Indigo digital press allows clients to run what they need, when they need it. This technology means there is zero spoilage and no ink waste. paper usage and energy needed to run presses. 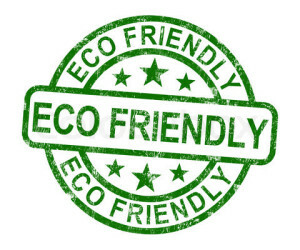 We use an environmentally safe method to clean our presses, alcohol-free chemicals to reduce VOCs emitted and shop rags instead of paper to cut waste. system captures trim and bales this for recycling, and we recycle all shrink wrapping. Nothing goes unnoticed in our effort to green our operations – from ongoing energy audits to coordinating paper shipments to lessen the number of times we open and close our dock doors, from our new reflective roof that provides better insulation to recycling of office materials and more by our employees. Our commitment to the environment and sustainability is wide ranging and ongoing. True sustainability requires that we meet the needs of the present without compromising the ability of future generations to meet their needs. That’s why it’s important to consider every facet of the printing process. We are proud to be a part of an industry that takes this to heart. This is clearly shown in the leading role played by the paper industry. Paper places the largest environmental impact in our business. Today, the United States has 750 million acres of forestland, an increase of 12 million acres over the past two decades. Even more remarkable, forest inventory, the number of trees still standing after mortality and harvesting, increased nearly 50 percent between 1953 and 2006. More than 1.7 million trees are planted each day in the United States, or the equivalent of four trees per person per year. And most paper fiber is recyclable. In fact, the paper industry recycles enough paper every day to fill a 15-mile-long train.